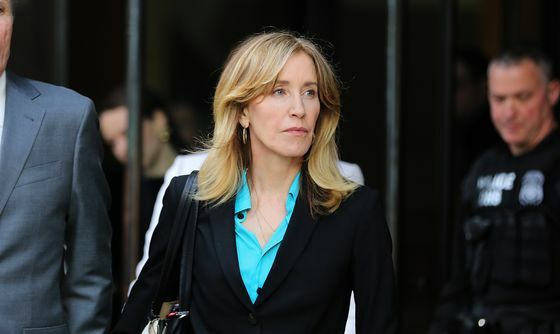 (Bloomberg) -- Actor Felicity Huffman is among more than a dozen people who will plead guilty in the U.S. college admissions scandal as prosecutors aggressively wrest admissions from wealthy parents looking for deals to reduce their punishment. Prosecutors have said the investigation continues and have indicated they will file further charges against others. In addition, a revised criminal complaint against two of the parents suggests a new avenue of investigation for the government -- tax and financial advisers who may have helped conceal bribes as charitable donations. That charge was brought earlier against oncologist Gregory Colburn and his wife, Amy -- two of only three parents to be indicted so far -- after they balked at a plea. The Colburns have denied wrongdoing and vowed to clear their name in court. He and his wife, Davina Isackson -- the first parents the U.S. has identified as cooperating in the investigation -- are accused of paying $600,000 to participate in the exam-cheating plot for their younger daughter and a college recruitment scheme for both of their daughters. In the recruitment plot, they are alleged to have funneled bribes to coaches to win the girls’ admission as recruited athletes. But defense attorneys may dispute the proposed ranges. The ranges themselves depend on many factors, including the amount of money involved in the crime, the nature of the conduct, the parents’ charitable and other good works, and their willingness to acknowledge guilt -- as all will do in their pleas. The judge is allowed to impose a lesser term than is recommended by the guidelines. Morris Fodeman, a former federal prosecutor in Brooklyn, said parents probably want to quickly cut a deal to get credit for accepting responsibility from a sentencing judge. “In a case with overwhelming evidence of guilt and no viable defense, there is often no reason to delay the inevitable,” said Fodeman, a partner at Wilson Sonsini Goodrich & Rosati PC, who isn’t involved in the case. “Pleading guilty as soon as possible, saving judicial resources,” can show the defendant “is remorseful and fully accepts responsibility, all potential grounds for leniency at the time of sentencing," he said. Michael Center, who coached tennis at the University of Texas, will also plead guilty, prosecutors said, joining two other ex-coaches -- Rudy Meredith of Yale and John Vandemoer of Stanford -- who have also acknowledged their guilt.